One problem with many crochet trivets is that they are thin, and don’t really protect your surfaces from heat. Not so with this one. 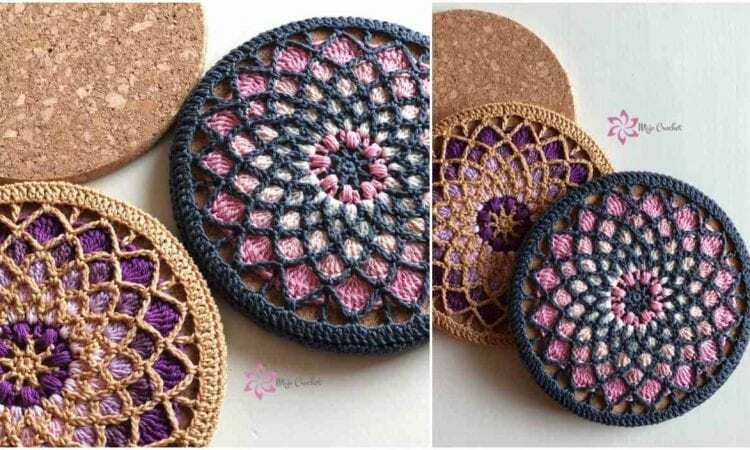 The Solstice Trivet is a crocheted equivalent of the cork trivets you can buy in your local markets, it’s over a quarter inch thick and is densely filled in the center, meaning that your hot pots or serving dishes will not blanch rings in your furniture. Moreover, the intricate appearance will make these great decorations in their own right, when they are not being used for holding pots. UPDATE: This pattern is free only partially and is based on ‘Solstice’ Doily by Mark Roseboom, which is unfortunately a paid pattern.